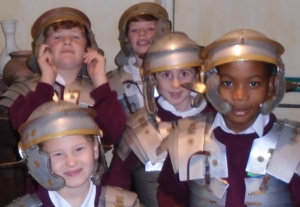 Year 4 visited The National Roman Legion Museum at Caerleon. We visited the amphitheatre, barracks and Roman baths and found out about how the Romans lived during workshops on the Roman military and on Roman daily life. 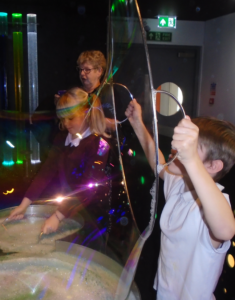 In November, Year 5 took a trip to ‘We the Curious’ in Bristol. 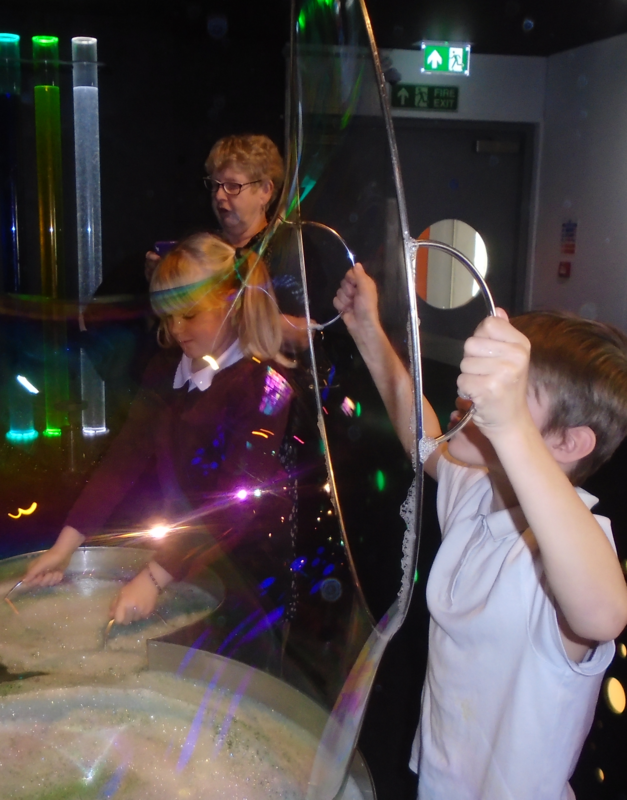 The morning was spent in the science museum, playing on the interactive exhibits and learning all about different aspects of science, as well as animation and technology. However, the main event was in the 3D Planetarium where we learnt more about space, which is what we have been learning about in topic and science this term. We got to experience space in 3D and learnt about the stars, meteors and different planets. We had a lot of fun and really enjoyed learning more about space! In December, Year 5 were visited by some sixth form students from Sir Thomas Rich’s secondary school. A small group of students visited each Year 5 class and taught us about space. They told us information about each planet in our solar system and used some visuals to show us the order of the planets. We got to ask them questions and they quizzed us on what we already knew. The sixth form students were really impressed with all the information that we already knew and we really enjoyed them teaching us more about space. Other trips we’ve enjoyed this year have been to Cadbury World (Y6), Clevedon (Y2), Panto (Y2-4), and workshops on Techniquest Science (Y4) and Fire Fire (Y2).